It’s impossible not to be swept up in the sweet island life once you get out here. The sun shimmers on diamond reefs and local fishermen catch fresh crustaceans straight from the ocean. It’ll be quite easy to get addicted. Good thing, there are thousands of islands to satisfy your craving. Our beaches are the perfect escape from those cold, icy, extra-long winters. See as many as you can in a day. Rent a kayak to paddle around the islands with, or get a guided boat tour, which usually includes a perfectly grilled lunch. Soon, you’ll be basking in your own tanned glow, enjoying a therapeutic massage by the sea shore. Prefer to choose just one? Try Boracay. It’s rated by Travel + Leisure magazine as the “World’s Best Island”. The nightlife will get you partying hard with the crowds, while more secluded beaches bring you to more tranquil shores. 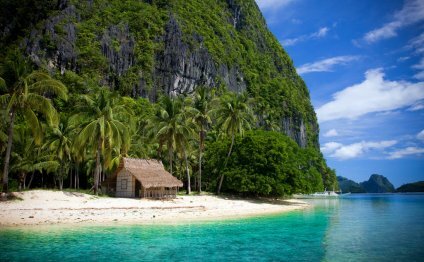 It’s no secret that The Bourne Legacy was shot in Palawan, the perfect setting for fantasy and adventure. Spoiler alert: the last we see of Jeremy Renner and Rachel Weisz, they’re planning on getting lost in this beautiful place. We’re not surprised. These are just a few of our island gems. Come and spend winter in our warm islands instead. Or better yet, stay a while and enjoy 365 days of summer. Barobo is a 3rd class municipality in the province of Surigao del Sur, Mindanao, Philippines.